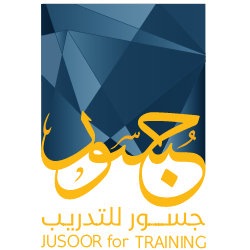 During the previous period from starting of Jusoor for Studies ,we noticed that the outputs of the work in the center such as: studies ,analysis of reality ,maps of influence and other outputs have contributed to expand the range and clarified the vision for individuals , political parties, local councils and others who interested and working in the public affairs .but we found a clear loophole which impedes the beneficiaries work ,these are the lack of necessary tools and skills to achieve the work and correct tracks according to its field. Because of the importance of building the capacities of the actors parties in the public affairs to enable them to be able to make correct decisions and establish a mature structure for the society, these skills were built and refined through the efforts of society institutions which work to build and develop the capacities for individuals and local institutions in many fields such as political ,intellectual, economic and developmental fields and any other fields according to the needs of the society. Because of what mentioned above the idea was born to establish an institution for skills development and capacity building professionally for all actors’ society categories in the public affairs especially the great need and the weakness in the training and development work professionally.